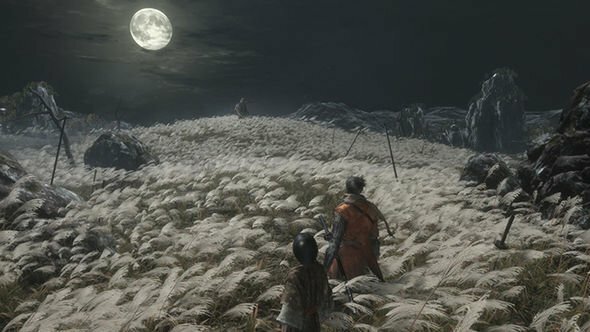 Sekiro: Shadows Die Twice is one of the most challenging, rewarding, engaging, and beautifully designed video games I have ever played. I cannot get enough of it. Sekiro: Shadows Die Twice is also an infuriating piece of crap and I hate it. It’s too hard, I end up spending way too long trying to get past individual sections, and the experience has left me a broken man. As you can probably tell, the latest release from Dark Souls studio From Software has had me swinging wildly from delirious highs to devastating lows and back again. Every victory is swiftly followed by a crushing defeat. Every time I feel like I’ve mastered the game’s stunning, deadly world, the rug is immediately pulled out from under me and I’m left with an overwhelming urge to bite my controller in two. In other words, it’s a From Software game – and for the most part, I absolutely bloody love it. My opinion on it essentially entirely depends on how well I’m doing in the game at any given moment. 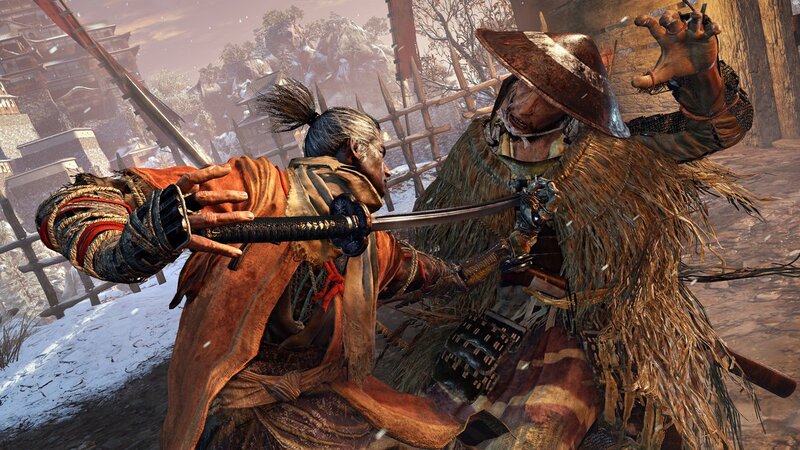 Sekiro is a difficult game to review, and not just because it’s literally an intensely difficult game to play. It’s hard to slap a blanket recommendation on a game like Sekiro (or Dark Souls, or Bloodborne) because what you get out of it depends entirely on how you feel about These Kind Of Games. 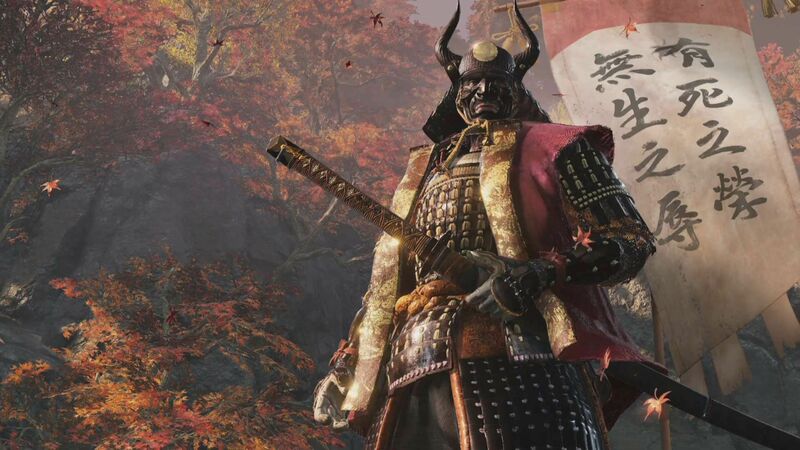 If you’ve ever found Dark Souls too stressful, or if you don’t have the time or patience to persevere with a game in which you will die a lot and find yourself repeating the same bosses and areas ad nauseam, then Sekiro is probably not the game for you. 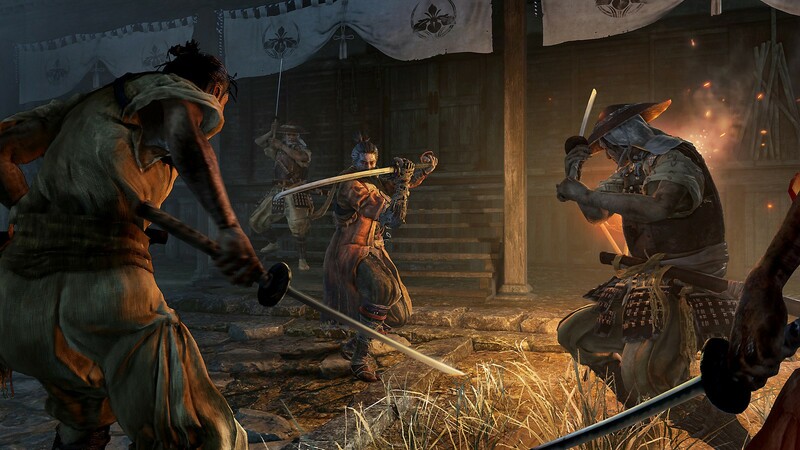 Those that are willing to invest the time into Sekiro however, will find themselves immersed in an experience that easily sits alongside From Software’s best work, and is a genuine Game of the Year contender. Make no mistake friends, Sekiro is hard as nails. It’s undoubtedly up there with the most challenging game I’ve ever played – and yes, I have beaten Bloodborne and the Dark Souls trilogy, so I’m “qualified” to talk about it, if you’re one of those people that genuinely thinks like that. 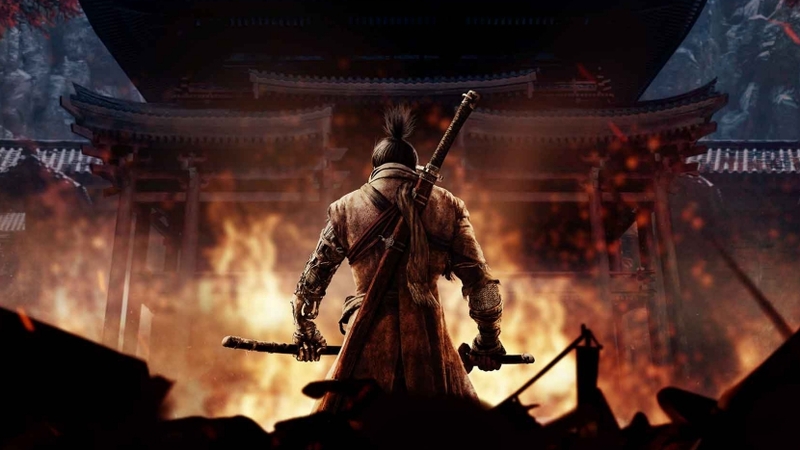 How difficult you find this game comes down to personal experience I guess, but where Dark Souls is very much an RPG at heart, one where grinding and leveling up can actually compensate for any inherent lack of skill, Sekiro constantly demands your precision and focus. In some ways however, Sekiro is probably the most accessible and “friendly” game that From has ever made. Most of the game’s mechanics are clearly spelled out and explained to you, unlike Dark Souls, which is riddled with features that are left irritatingly vague or completely unexplained unless you’re willing to head to Reddit and do a day’s worth of reading. By no means does this game hold your hand, but there is more of a sense of linearity and a lot less pointless wandering around. While the studio’s remarkable, jigsaw puzzle style interconnected world design still plays a role, it’s never quite as breathtakingly inspired as it is in Bloodborne, or the first Dark Souls. The way the game moves and plays also feels much more modern. There’s a fluidity to the whole thing that sets it apart from the clunky, cumbersome movement of the Souls titles, which made the game instantly look more appealing to my colleagues who’ve never really found Dark Souls to their taste. On the subject of looks, I should also quickly point out that Sekiro is comfortably the best looking game From Software has put out in its entire history. The world is full of lush colours, crumbling ruins, rain soaked jungles, and snow dappled mountains. It really is stunning, and everything runs incredibly smoothly, bar the occasional frame rate hiccup when too many enemies turn up to the party at once. 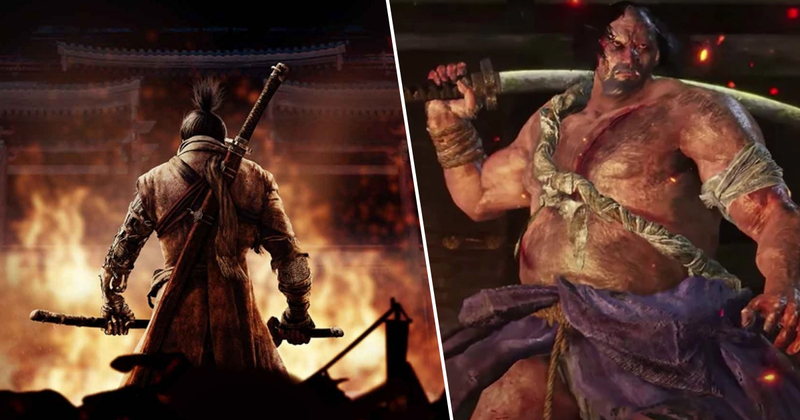 Sekiro is set during Sengoku Era Japan in the throws of a vicious war, and there are plenty of strange From Software touches. There are terrifying demons, bizarre looking humans, and other grisly creatures lurking out there in the dark. That immersive, yet deeply unsettling atmosphere that From Software is so fantastic at creating in its games is entirely present and correct, helped along by yet another stunning soundtrack from Yuka Kitamura. You’ll play as a noble master Shinobi warrior known only as the Wolf. Tasked with protecting the young heir to an ancient and pure bloodline, it’s not a spoiler to say that the game’s opening sees the Wolf getting beat down pretty hard, losing an arm and the boy he was tasked to protect. It’s not all doom and gloom though, as we’re soon fitted with a Shinobi prosthetic for our troubles, a replacement arm that comes with all manner of gizmos and attachments. The reason for Wolf’s quest, as well as the truth behind the Shinobi prosthetic and those that help you are shrouded in mystery as the game begins, but as you delve further into the world you’ll uncover plenty of twists and turns. To discuss the game’s plot anymore would be to spoil too many of the game’s surprises, but I will say it’s cool to see From Software ditch the vague, lore-reliant world building of previous games and deliver a more focused, story driven experience. That’s not to say there isn’t plenty of optional lore to dig out of course, because of course there is. The Shinobi prosthetic immediately jumped out to me as one of the most versatile, cool, and genuinely fun to use video game weapons since Kratos’ axe from last year’s God of War. Leaping between buildings with the grappling hook before pouncing on an unsuspecting enemy has yet to get old, even 20 odd hours into the experience. As you explore, you’ll find new attachments for your arm which can be fitted by the mysterious Sculptor. There isn’t a huge bevy of weapons or classes to choose from, so the real variety comes from collecting arm attachments and working out which tools work best for you. You can switch between any attachment at any time, so you’re free to constantly change up your approach as you see fit. There’s also a fairly generous limit to how many times you can use said weapons, so you’re never really punished for doing your thing. Discovering and making proper use of these attachments is vital for progression in Sekiro. If you’re skilled enough, you can probably get through most of the game using just your katana and your wits, but I found that working out a particularly tough opponent’s Achilles’ heel and then discovering the right tool for the job was one of the most satisfying aspects of the game. For example, I found myself stuck on an early boss for at least an hour before I backtracked a little and uncovered an attachment for my arm that made the beast recoil in horror, allowing me to take it out in one attempt as opposed to the several dozen attempts it had previously taken me. Fiendish, yet fair. The game is designed in such a way that you can pick up on weaknesses and ways to progress by eavesdropping on enemies and paying attention to your surroundings. Sekiro’s true masterstroke is the way in which it invites you to think and play like a Shinobi warrior. Running in half-cocked, swinging your sword like a maniac really doesn’t cut it here. At least it didn’t for me. It is also worth noting that a few of the irritating issues from previous From Software games make a return here. You can still get trapped in a corner or against an object while a mob merrily hacks you apart, and boss attacks can sometimes unfairly connect with you. One early boss jumped at me and as I dodged out of the way, it impossibly swiveled mid animation to grab me and deal massive damage. Instances like that are super rare, but when it happens during a life or death moment, it feels intensely annoying. 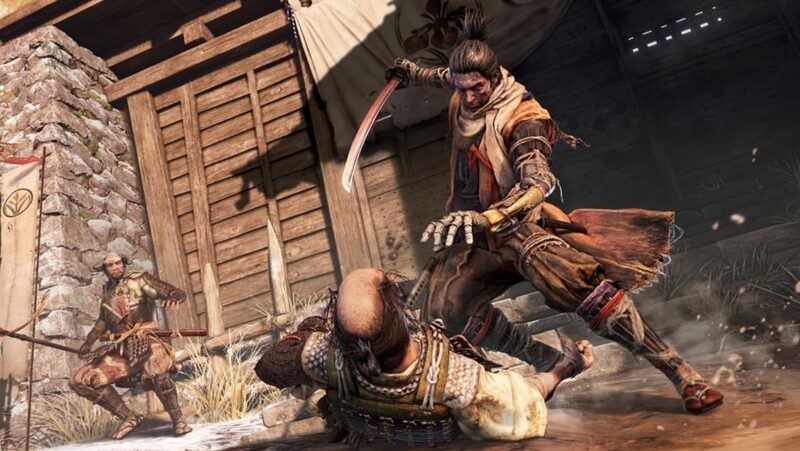 Stealth of course plays a big role in Sekiro, and while you certainly don’t need to flit through the game undetected to beat it, it’s a vital component to survival. Scoping out an area and silently picking off enemies as efficiently as possible is essential, especially since it’s easy to get overwhelmed by multiple enemies. Since you’ll likely be repeating certain areas multiple times before you reach the next checkpoint, you’ll eventually learn the quickest and most efficient routes through. Being able to swiftly cut through an area full of enemies without even being spotted is an incredible feeling, and really made me feel like a master Shinobi warrior (something I am definitely not since it usually takes me five minutes to get up off the sofa). Naturally, in classic From Software fashion, every time you start to think you’re gitting gud, the game will slap you in the face with a new enemy or mechanic. 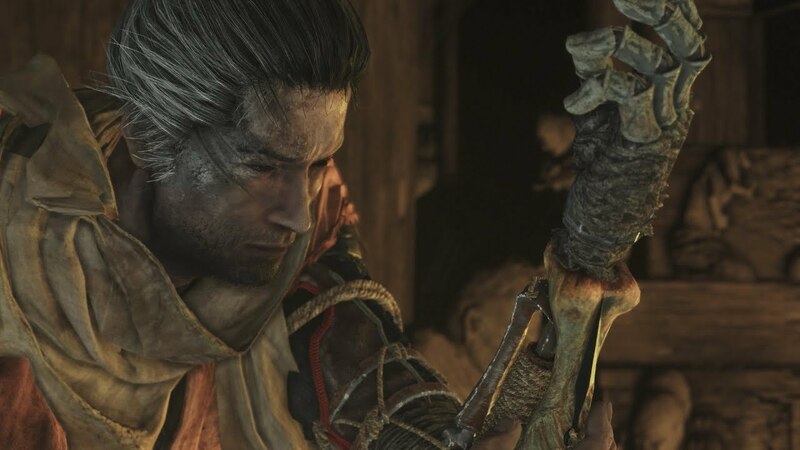 If you ever start to feel safe or complacent in Sekiro, that’s when it’s time to panic, because something is likely about to emerge from the gloom and grind you down into a sticky paste. One-on-one combat is a delicate dance of knowing when to dodge, when to press your attack, and when to counter. Both you and your opponent have a posture meter, which when full can throw you off balance and leave you open for a killing blow, which tends to result in a satisfyingly over the top spray of crimson as you ram your sword in your foe’s neck. Different enemies have different patterns, and just like Dark Souls, you’ll need to learn them to really come out on top. Unlike Dark Souls, you will have to learn to parry if you want to survive. Sorry about that. I never really found fights to be unfair, and as long as I stood my ground and kept my cool in the heat of battle, I tended to come out on top. Panicking and mashing buttons would result in some very nasty ends. Patience and skill are always rewarded in Sekiro over blind fury, and going along with that makes the game so much more rewarding. Once again, thinking like a Shinobi warrior really is key. 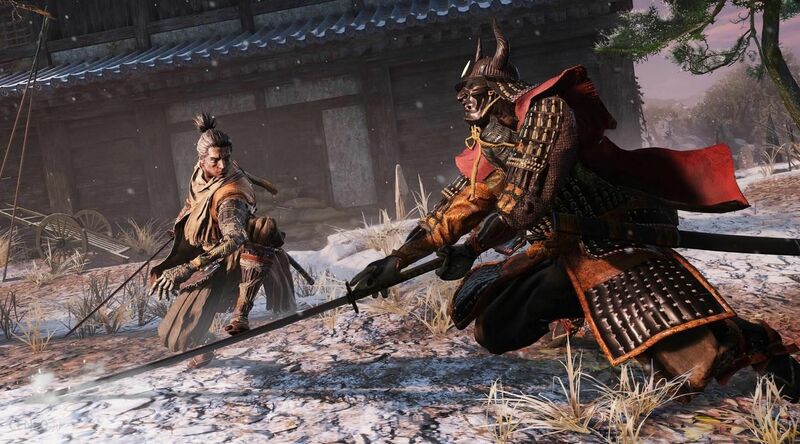 Sekiro ditches the leveling system of previous From Software games and replaces it with the kind of skill tree you’d find in more of an action adventure focused game like Ghost Recon Wildlands, only not as overwhelming. Skill points are earned by taking out enemies, and these points can then be spent on picking up new abilities and techniques for your Shinobi warrior. Early on you’ll be able to pick up a fearsome spin attack, and an improvement to your grapple ability that allows you to fly towards enemies and unleash a flurry of slices with your katana. Unfortunately, upon death you’ll lose half of all XP towards your skill points, with no way to get it back. This means you need to seriously consider whether it’s worth jumping into a fight or retreating to save your precious skill points, adding an extra tension to combat. 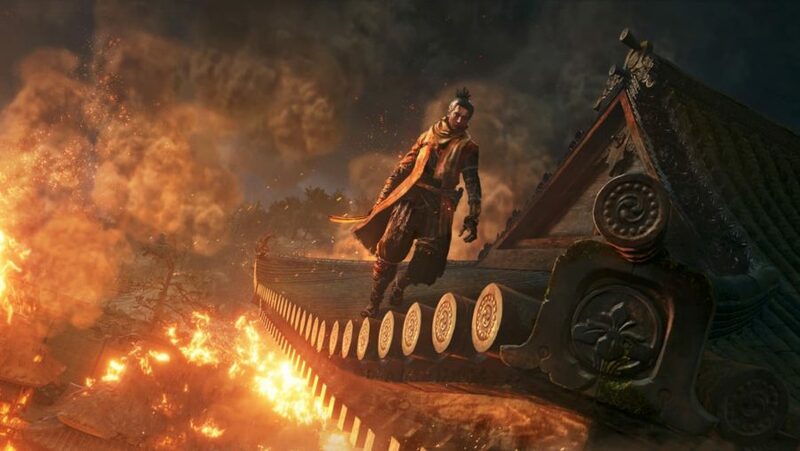 Progression in Sekiro is well balanced, and there’s no one upgrade you can grind for that’ll suddenly make the game easier. Your own developing skill as a player and understanding of the game’s mechanics and world are what really push you to victory here. 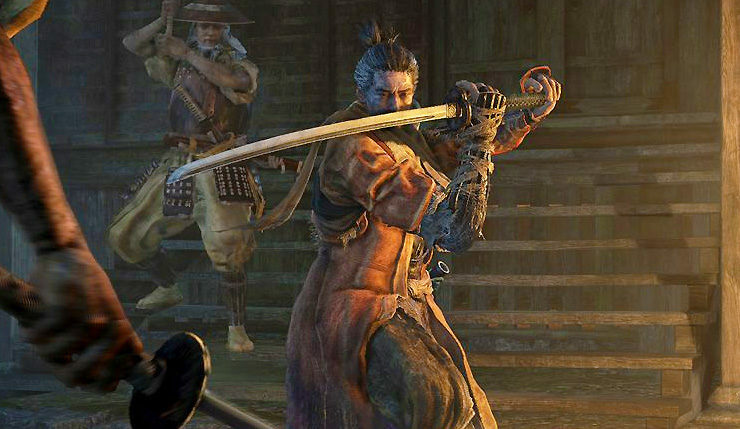 Finally, let’s talk about Sekiro’s resurrection mechanic, since that’s kind of the game’s big thing. As you’ve probably heard, the game allows you to revive once mid battle, at least initially. This can be used in various interesting ways. Since enemies take your “death” at face value, you can play dead for a while before jumping back up, sneaking behind your foe, and getting a stealth kill. This unfortunately doesn’t seem to work on bosses, though. You can also use these fake deaths as an opportunity to retreat and conserve your experience, since only a “proper” death results in any kind of penalty. Without giving too much away, I’ll also say that your continued death and use of the resurrection mechanic has some unexpected and surprising effects on the world around you. What I will say is that the way From Software has found yet another clever approach the simple act of dying into one of its games as a vital mechanic is to be applauded. Sekiro is a genuinely outstanding game that makes me feel everything from intense rage to dizzying pride. There are more than enough elements from previous From Software games to ensure fans of Dark Souls and Bloodborne will feel at home, but there are so many new ideas and mechanics in play that to call this more of the same would be to do it a major disservice. There are so many areas to explore, enemies to fight, and bosses to get beaten down by that I still don’t feel like I’ve scratched the surface of everything this game has to offer. Every time I throw my controller down in a huff, I find myself coming straight back ten minutes later because I know when I do best the boss I’ve been stuck on, there’ll be something just as fascinating and deadly waiting around the corner. 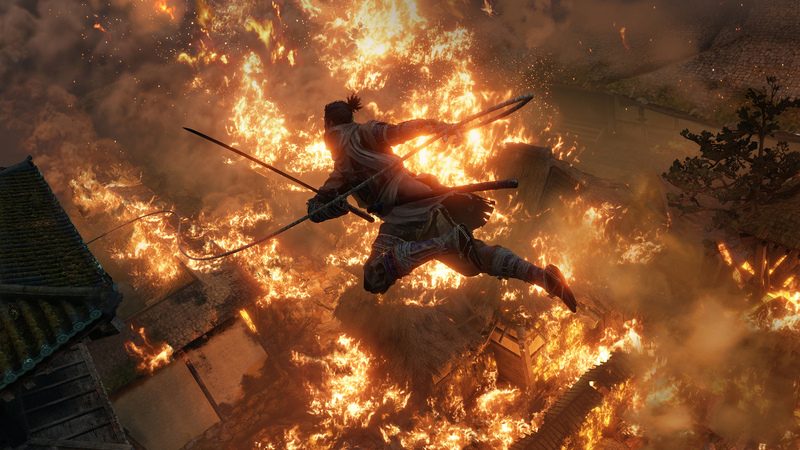 Sekiro: Shadows Die Twice is a game that demands your patience, focus, and respect from the very beginning, and it doesn’t let up for even a moment. 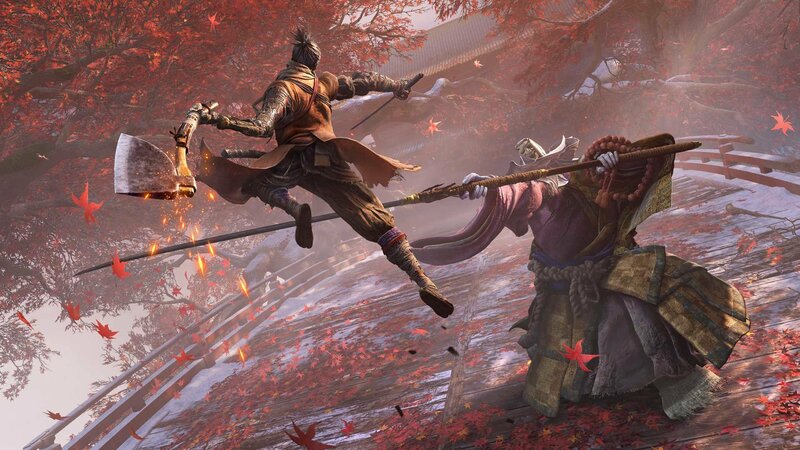 If you’re ready to get hurt again, but also to play one of the most ingeniously designed games of the last year – maybe even decade – then I genuinely can’t recommend Sekiro enough.